RC2014 Mini is a simple 8 bit Z80 based single board computer. It is based on the modular RC2014 , but all on a single PCB. The RC2014 itself is inspired by the home computers of the late 70s and computer revolution of the early 80s. It is not a clone of anything specific, but there are suggestions of the ZX81, UK101, S100, Superboard II and Apple I in there. Add a Pi Zero for HDMI video output / USB keyboard input. 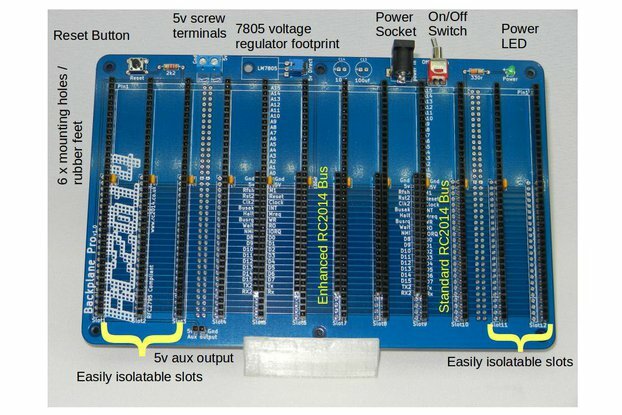 Equivalent of the modular RC2014 CPU, ROM, 32k RAM, Clock, Serial, Pi Terminal and Backplane all in 1 neat board. 55% less soldering than modular RC2014! Which RC2014 Should I buy? The RC2014 Mini, the Full Monty Modular RC2014 and the individual modules will effectively give you the same computer at the end of the day. So, which one is best for you? The advantages of the RC2014 Mini are listed above, however, you should be aware that the Mini is not as flexible as the modular approach. For example, if you wish to run at a different clock speed, or upgrade the RAM, then this can be done simply by changing a module on the Full Monty kit. The backplane and individual module approach has worked out better for people that want to design their own computer based loosely around the RC2014 framework, but with a different CPU for example. If you simply want to build an RC2014 as easily as possible, plug it in and start programming in BASIC, then the Mini would certainly be the way to go. I have procured a single board Z80 computer kit. The kit is great, functions perfectly, is easy to assemble, and arrived in a very sturdy package. If you are interested in a Z80 kit, I advise this kit/company very much. Professionalism as it ought to be everywhere! Perfectly designed kit for a quick start at retrocomputing. The assembly is easy (I used the online PDF): I took my time and everything went easy. I've always wanted to build a real computer, the RC2014 mini kit offers something you just can't get from Arduino or raspberry pi, the build is pretty easy, do use the online build instructions though. Although it would be easy to rush this kit I chose to spread the build over 2 evenings checking everything as I went, Im pleased to say it booted first time which made my day. The RC2014 board is quite compact, I would have liked to use a 28 pin zif socket for the ROM but there's not alot of clearance on the board to fit one, but it's not a big deal. My main reason for buying this kit is to tinker with z80 assembly and learn about addressing so I can later experiment with interfacing my 6502 home computer to the outside world, electronics plays a big part in my hobby as a ham radio operator and I'm looking forward to intergrating this board into the hobby. If you enjoy kit building and are bored with blinking LEDs in c# try the RC2014 z80 at machine level instead. Nifty little Z80 Single-Board Computer. Easy to build & use. Received my RC2014 mini quite quickly, which was faster than I expected for UK to US shipping. Parts were well packaged and everything was ready to assemble. My only complaint was that the included printed diagrams were black-and-white printouts of evidently color pictures. The resistor color bands were impossible to interpret in the black-and-white photo, and the text labels were also very hard to read in some places. I ended up going to the website just to double-check everything. I color printout would be a great improvement. Other than that, assembly was pretty easy and straightforward. Please be sure to unpack ALL the parts and lay them out before beginning—a few items were "hiding" in between other parts, leading me to wonder if they were missing before I discovered them. Sockets are included for all ICs, and there are a variety of different headers you can use depending on your application. 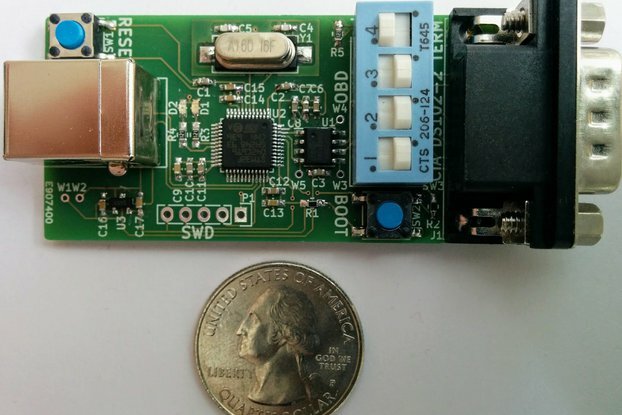 A USB-to-5V "barrel plug" cable is included, which lets you power the RC2014 mini directly from a USB port. There is no voltage regulator on board, so BE CAREFUL not to plug a 12V or other power adapter into the board! All in all, a fun little project that was pretty easy to assemble and get working. Had my first BASIC program running in no time. I loved this kit. It took about an hour to solder it together. Fired right up. Had flashbacks of my youth. Loved it! I've always wanted a Z80 based computer. I purchased the full monty kit. It was great fun putting it together, I had a problem with getting the kit working but spencer was fantastic help and I think I enjoyed the trouble shooting more than the build. The problem turned out to be an easy fix and once working the kit is great fun to use, bringing back memories of the early eighties. The kit is great for learning how computers work, i.e clock, ram ,rom etc and I look forward to getting further modules from SPencer. Wonderful product and great service. Now have the confidence to build the RC2014 although it is not quite in the form I would like, that is to run cp/m using an sd card. The RC2014 Mini is a compact way of getting up and running with a retro Z80 experience, complete with a BASIC in ROM. It's a really easy build, but do use the online version of the docs as the colour coding doesn't translate to the black and white printed version. Best of all, there's a whole world of backplanes, protoboards and expansions which you can use with the Mini. And the Pi Zero expansion as an integrated terminal is just splendid.